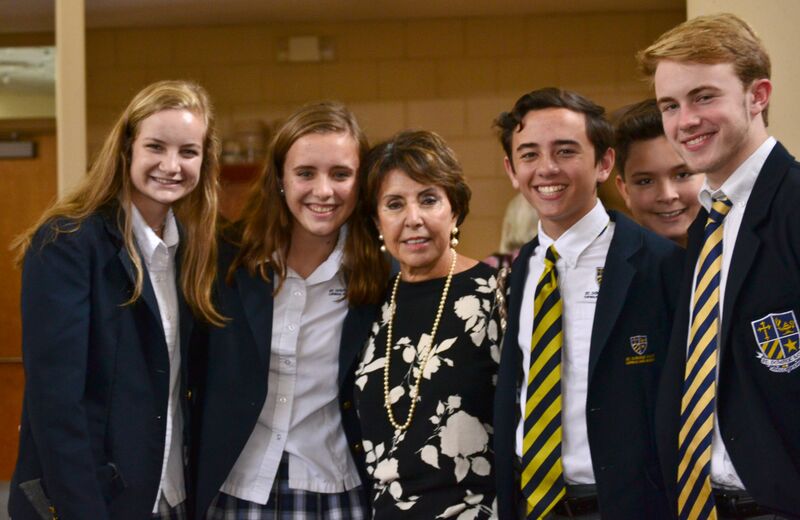 During the month of November, we honored the lives of our Grandparents. 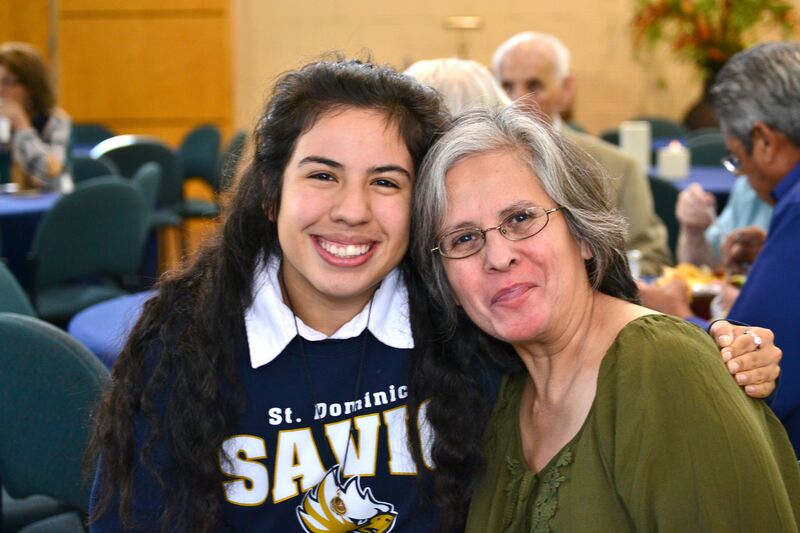 On November 16, 2017, we invited Grandparents to our Grandparents day celebration with Mass and a reception at St. Vincent de Paul Catholic Church. 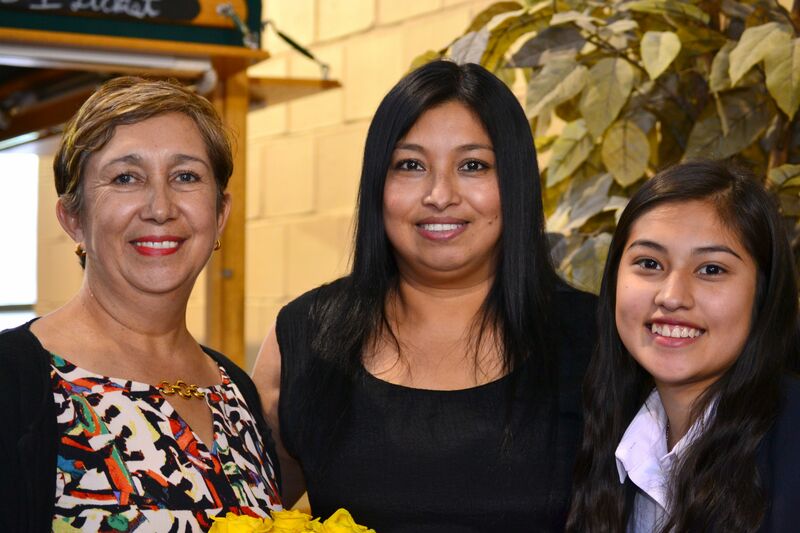 We thank our grandparents for the wisdom and knowledge they bestow through our families. 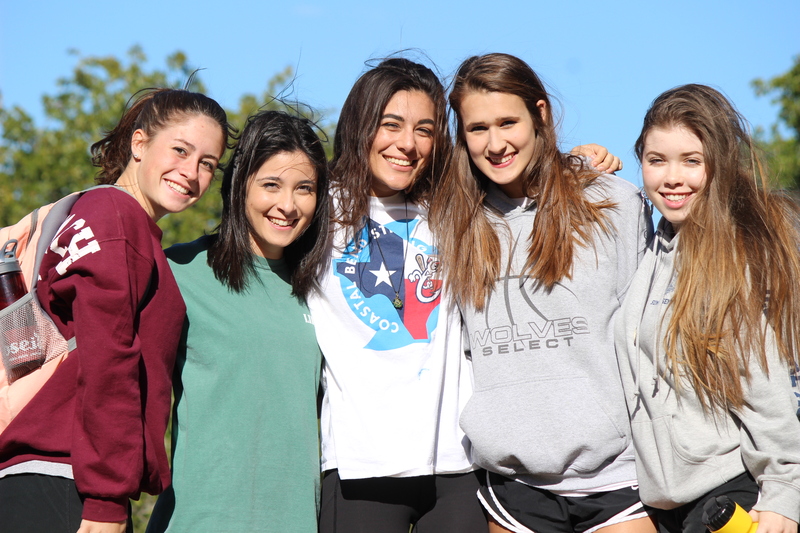 The Savio senior class had another great retreat at the end of October, at Eagles Wings in Burnet, Texas! 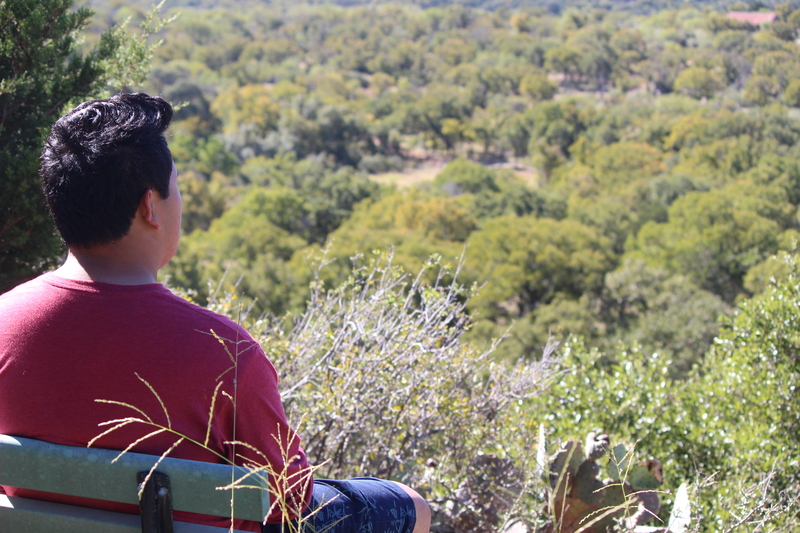 The retreat helped bring the Class of 2018 together and share about their journey of faith at Savio over the past three years. 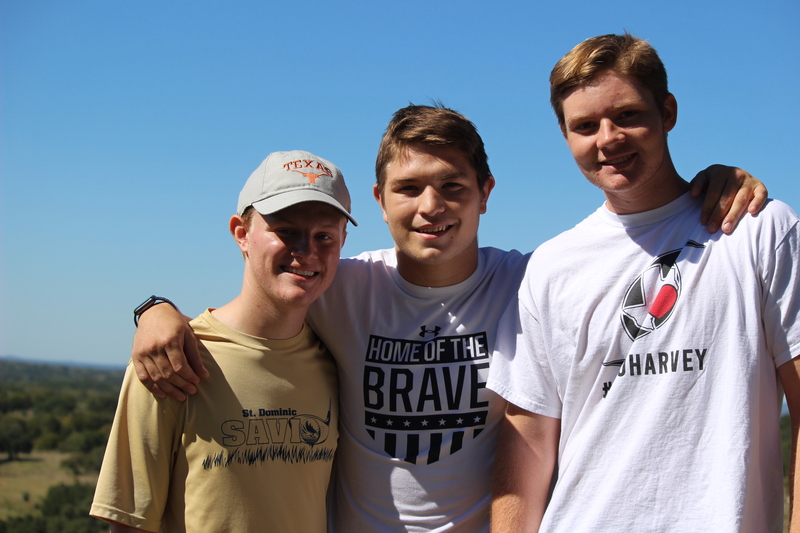 The retreat invited our senior class to respond to God's call for them and to encourage their mission, serving as disciples in the image of Christ. 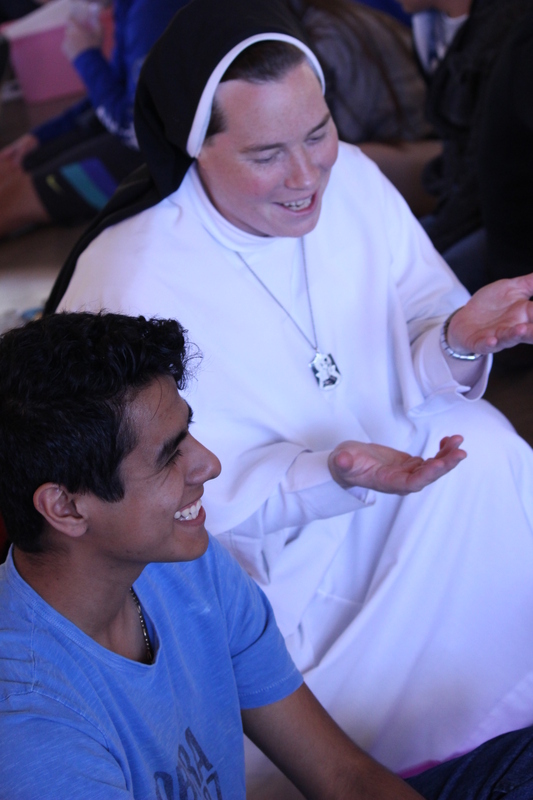 The seniors had an opportunity to pray with one another as a group in praise and worship, Mass, Adoration and Confession and simply enjoying rest and fun as a class. 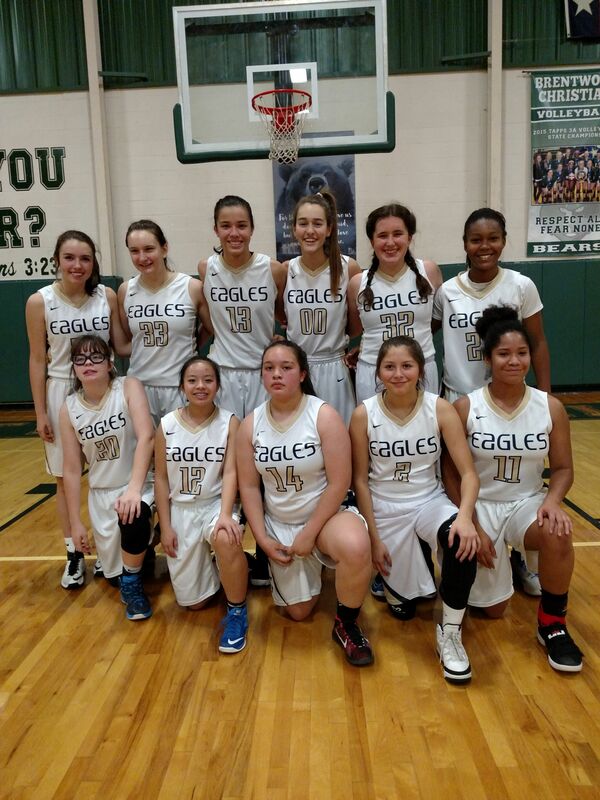 The Lady Eagles Girls Basketball Team entered the Brentwood Christian tournament for a four-game series and displayed great enthusiasm and a glimpse of the journey ahead. They took home 3rd place finishing with a 2-2 record and were competitive in all four games. The Lady Eagles opened with a tough loss to the host team Brentwood Christian 35-23 and then lost to Midland Christian 52-48 in a back and forth contest. Refocused, the Lady Eagles went on to win the next two contests against Regents 47-30 and in the final game outlasted St. Stephens 41- 25. Congratulations to Victoria Bird who was named to the All-Tournament team! "Being competitive was important but team chemistry was the primary take away from this event." Coach Rich Carr. Fifteen High schools competed in the MacArthur Math/Science Tournament this last weekend in San Antonio. 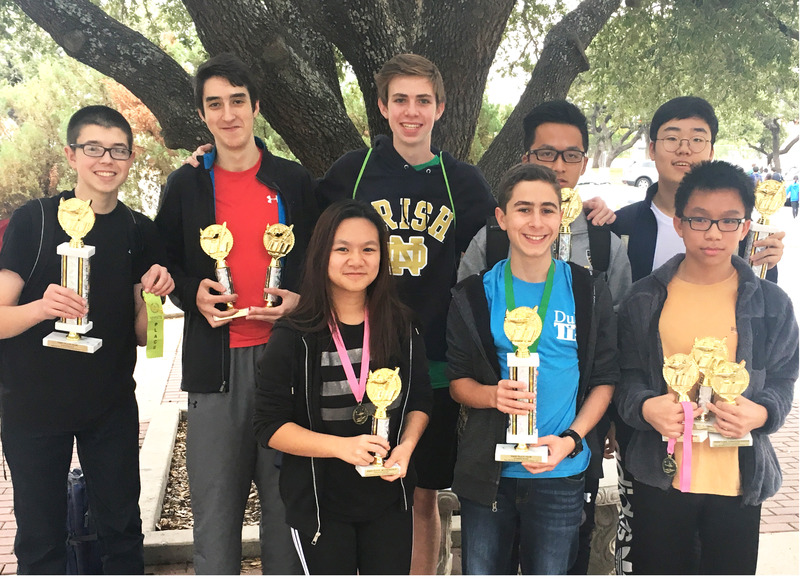 Eight students represented Savio in multiple competitions including Math, Science, Number Sense, Calculator, and Computer Science. Savio won the First place team award in Math and Number Sense, and 2nd place in Team Computer Science. 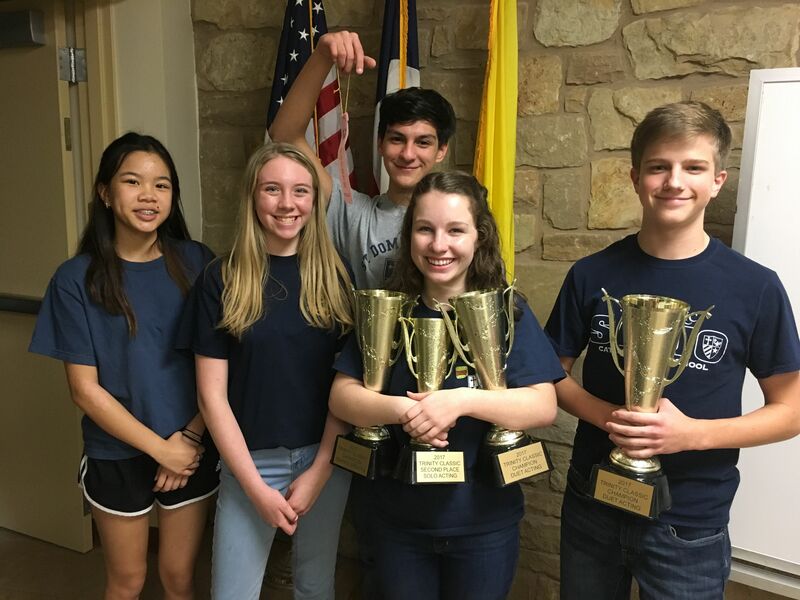 The Final Sweepstakes round results required the total earned for all five events and Savio placed second, just two points short from the first place team, Reagan High School in San Antonio. 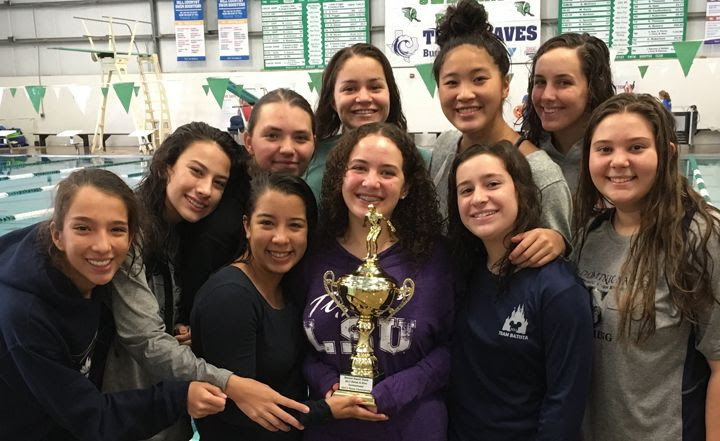 This was a great first meet of the year, and Savio brought home several trophies! 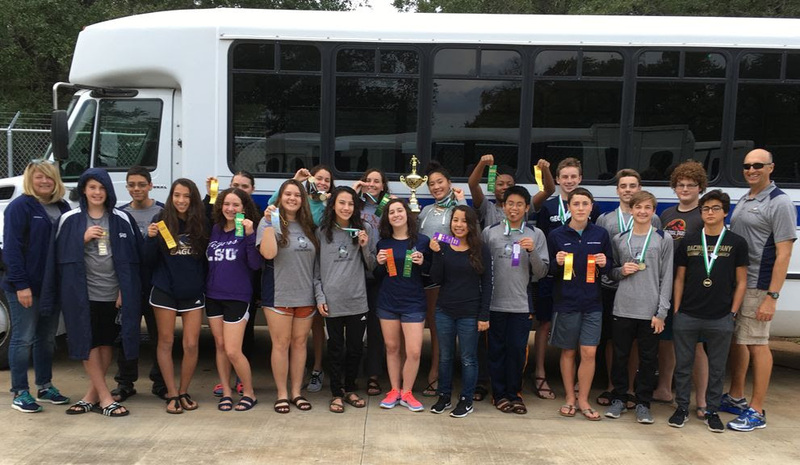 The Savio Swim team competed in the 2017 Burnet Small Team Invitational, hosted by Burnet High School Swim Team, on Saturday, November 11th at the Tex Robertson Natatorium. There were 9 high school teams that competed in the meet. Every Savio girl in every event scored points to pull off a first pace victory by 3 points! The boys had only 3 events where they did not score points placing second, just 3 points out of first. Two great lessons in how important teamwork from each swimmer in each event is in determining the outcome for a team. In addition, three team records were broken. Reilly Gilbert set records in the 50 free and 100 Breast and Jade Hallum set the 200 IM record. Congratulations to all for a great meet! 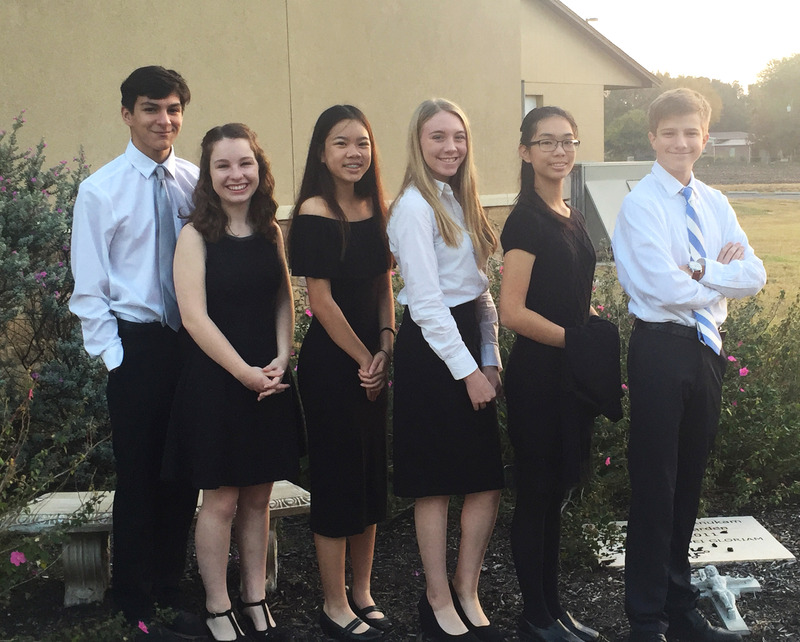 The Savio Speech Team successfully competed in their first tournament of the year on Saturday, November 4th. The team traveled up to Temple to the 13th Annual Trinity Classic at Holy Trinity Catholic High School. Four of the six participates had never taken part in a speech tournament. This competition was a valuable learning opportunity and fun was had by all. Trunk O Treat a Success! 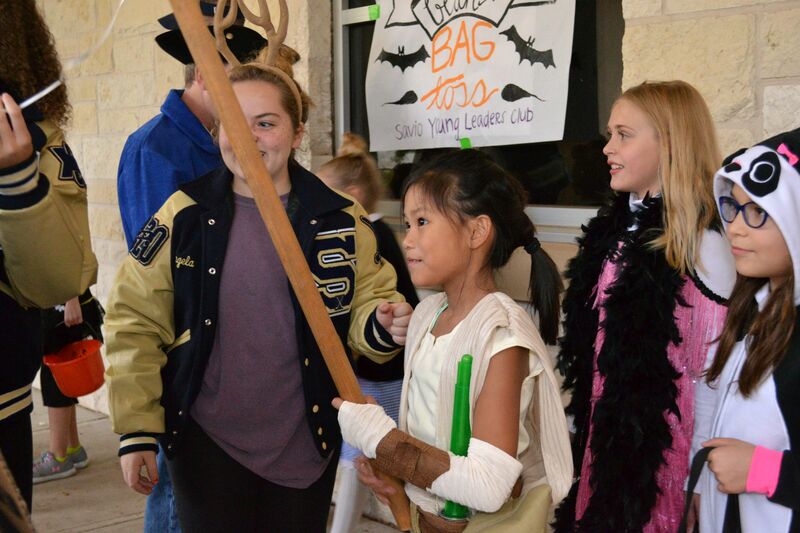 The forecast set for Tuesday, October 31st caused much anticipation as Savio staff were deciding whether or not to keep the Trunk O Treat scheduled. 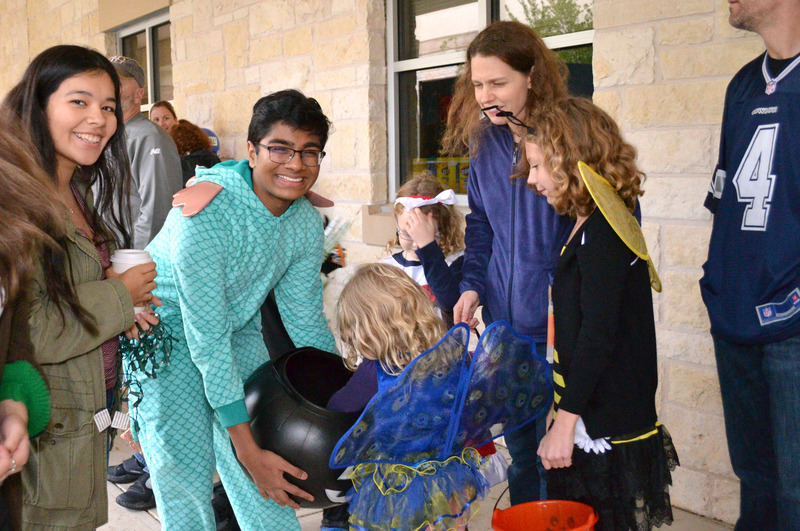 After a quick decision to arrange the Trunk O Treat in the Courtyard and Garden area, the event proved to be a success. Young and old gathered and joined together as a community, under the over-hang areas during moments of the sprinkling rain. 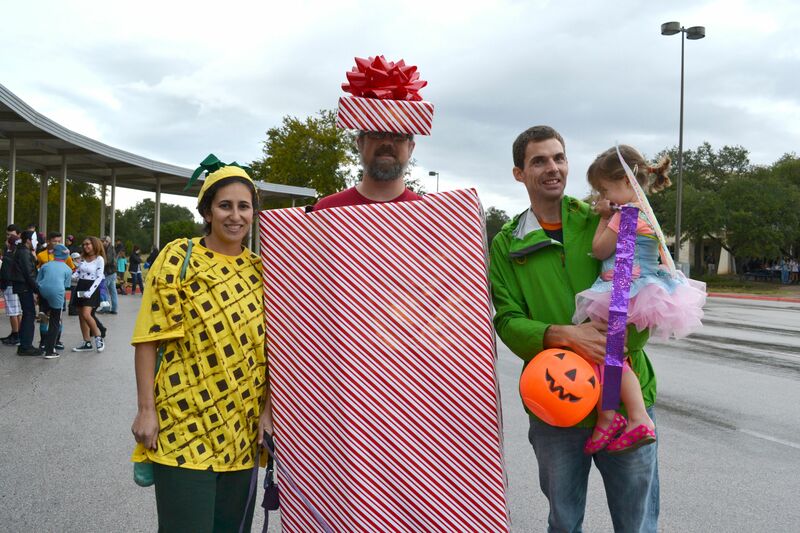 Everyone had a great time and were able to take part in games and expand their Halloween candy collections. 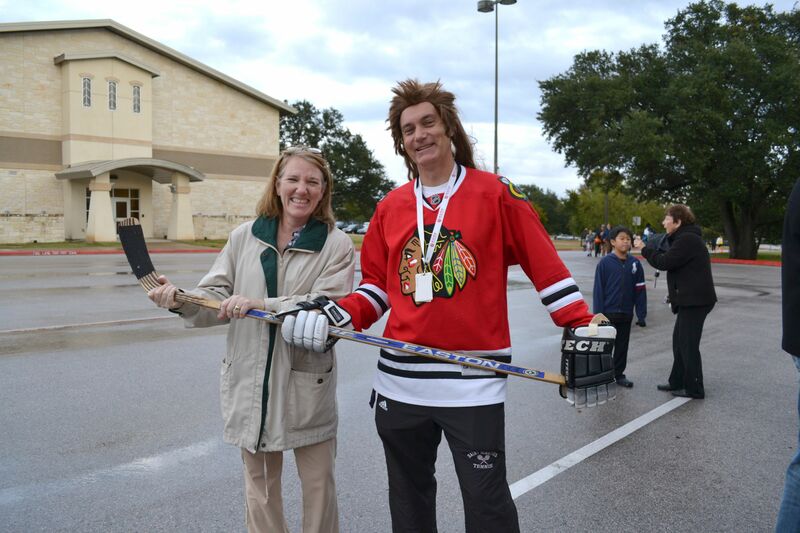 The quick location change allowed many gathered from the Eat-N-Treat next door at Holy Family Catholic School, to join the event for additional festivities. 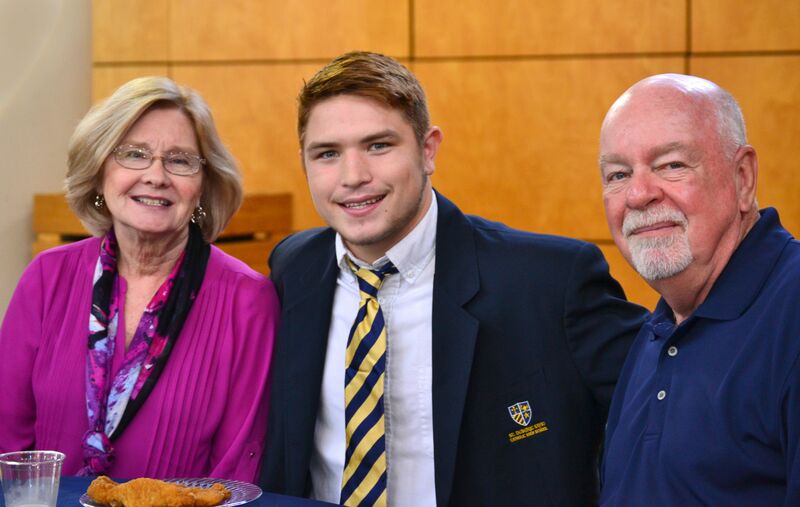 Board member Jerry Suva and his wife Rita Suva enjoy the environment with Mr. Paul Winkeler, Savio Math Teacher.